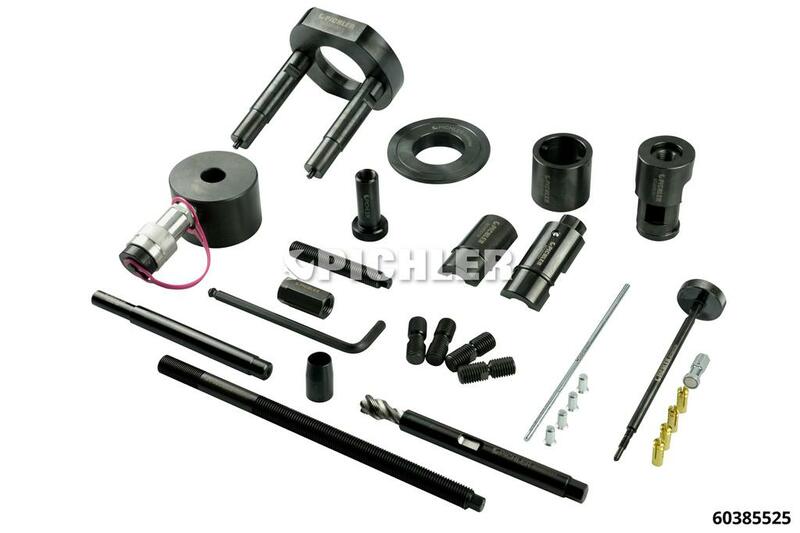 60385525 Injector Removal Kit Ford 2.0 TDCI (YNF6), 12 T.
Injector Removal Kit Ford 2.0 TDCI (YNF6), 12 T.
FORD YNF6 Engine. The two-phase extraction system provides a damage-free solution as well as the lifting of a very stucked and frozen injector with the 12 t. hydraulic cylinder. In case the injector breaks off during pulling on the lower screw connection can the additional pull spindles be used to pull out the rest of the injector.